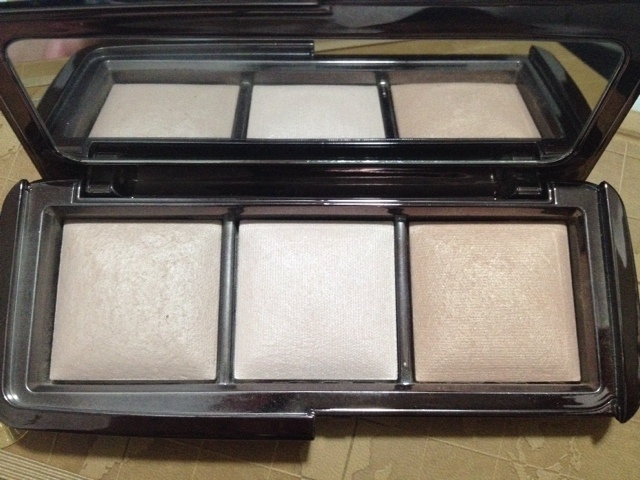 Hyped Up: Hourglass Ambient Lighting Palette | Vanity and Everything in Between. 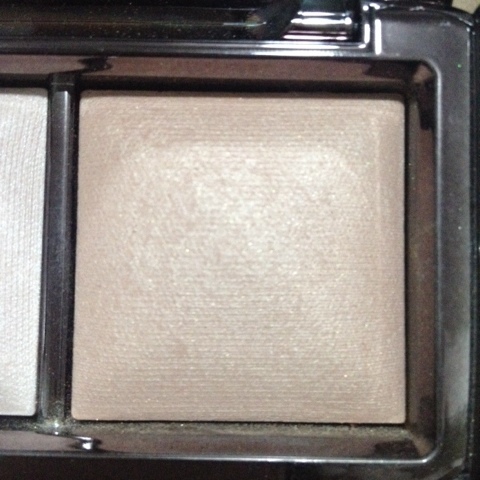 Dim Light is a beige powder with the least sheen/shimmer. 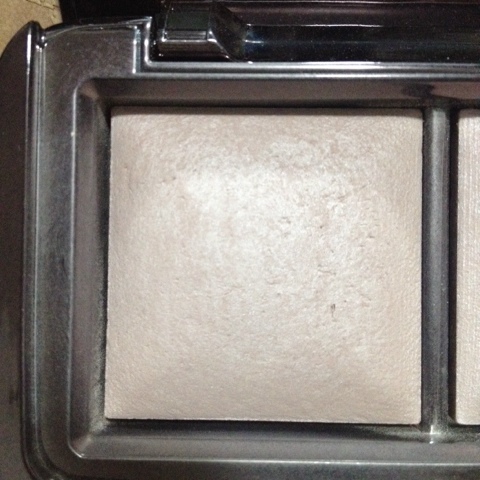 You can use this as a finishing powder (applying it after the setting powder) or as a setting powder. From what I know, Dim Light is supposed to make your face seem poreless. Sadly, I feel that this palette emphasizes my big pores. 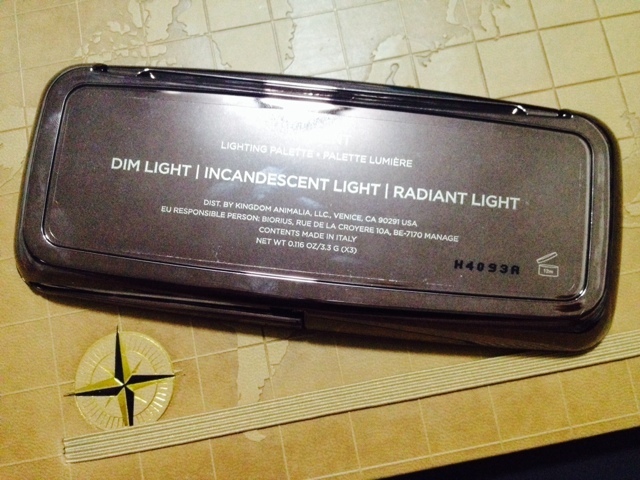 Incandescent Light is the highlighter shade of the palette. 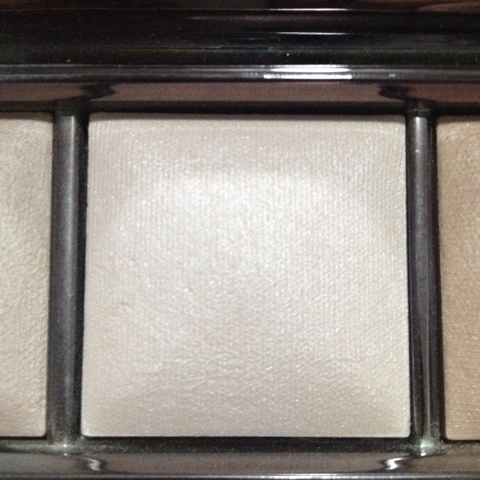 It's the lightest shade among the three and has the most shimmer. I find this too shimmery, honestly. But it really does brighten the face (duh). Radiant Light is the darkest shade among the three. It could be described as a warm beige powder/golden beige. 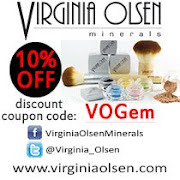 It also has shimmers also it comes off as a sheen once applied on your face. 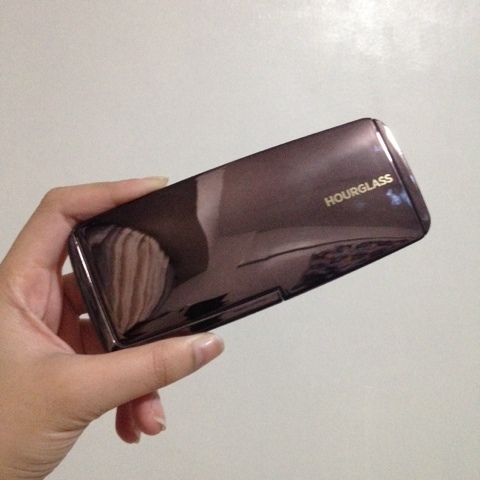 I use this a bronzer/contour. I'm a bit confused why it's called as 'Radiant Light' when this works more of a bronzer than a setting powder. When this palette was first released, it came with a complimentary mini size face primer. Since I bought this palette in 2014 when it became part of the permanent range, mine didn't have a face primer. Boo-hoo. I have a love-hate relationship with this palette. First of all, it consistently emphasises my pores on my nose and inner cheeks when it's not supposed to. Secondly, I oil up on the 2nd hour especially my nose. For USD58, it's unacceptable to oil up that fast even when you are just indoors. The first time I used this as a setting powder for my Bobbi Brown Skin Foundation, my face looked darker. I was even asked if I went to the beach over the weekend. It was only my face that looked "tan." After that, I never paired it with my Bobbi Brown Foundation again. I began to use this as a setting/finishing powder for my lighter shades of liquid foundation (like the one above). If you take a look at the photo above, my face looks okay except the oiliness of my nose. I watched Youtube videos to check how others used this palette and tried those "techniques" but the effect wasn't significant on my face. However, I like Radiant Light and even use it as blush at certain times. And that's about it. I want to know your thoughts if you've tried this palette. I really do. Have you tried using it over setting powder? 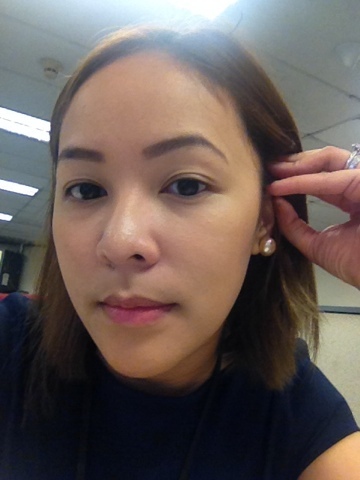 I looked weird kasi when I applied mine directly above liquid or cream foundation. 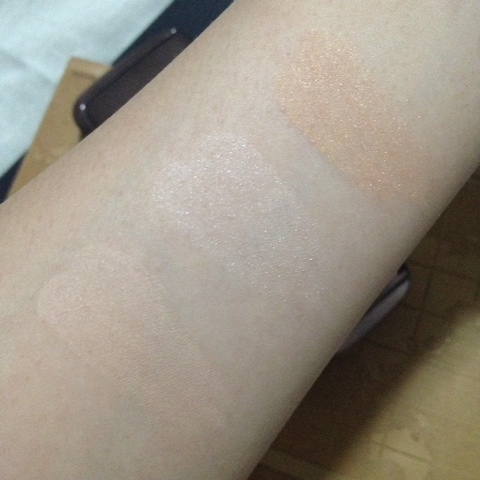 But over powder products, the effect is like.... GLOW. Amazing on the palette. Flattening on the wallet. Disappointing on my face. Haha! Thanks for the review, and I really thought this product was promising. Guess it's all hype though. It works for some people. Lucky them! Awww, thanks. 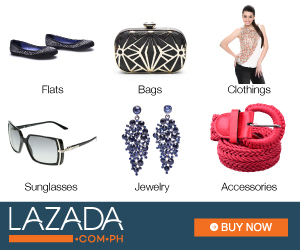 I'm longing for this one talaga. Pricey even the single ones. I easily oiled up in T-zone area pati sa eyebags ko. Well, I should stop dreaming about getting this palette. Hehe.